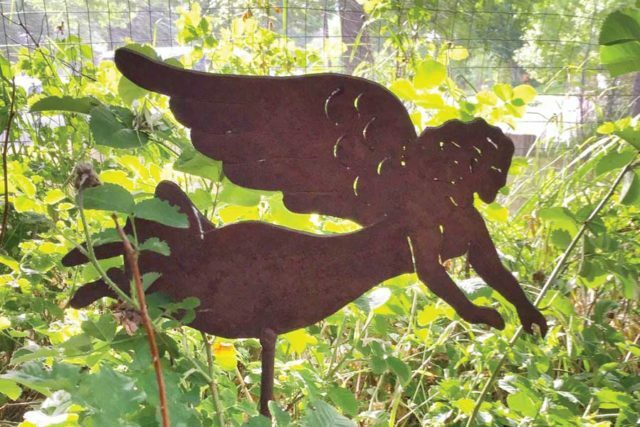 For many, planting art in the yard grows happiness. When we speak of art, paintings with high price tags and sumptuous sculptures may spring to mind. 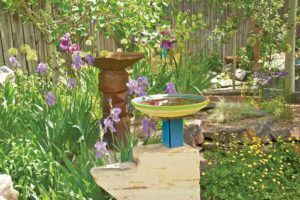 But in Boulder County, where you can be outdoors year-round, many residents favor affordable garden art. 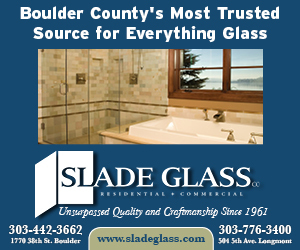 “Outdoors, you can pick what you like and what makes you feel good,” says Longmont potter Douglas Fey. 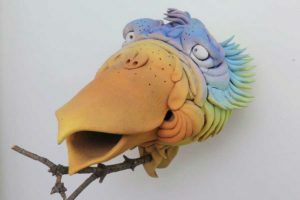 “Gardens are a place where there can be a sense of fantasy, mysticism and imagination.” Fey, for instance, combined his knowledge of cavity-nesting birds with a fascination for gargoyles to create “Bird Garglers,” his best-selling line of garden-art pieces that attract a variety of nesting birds. 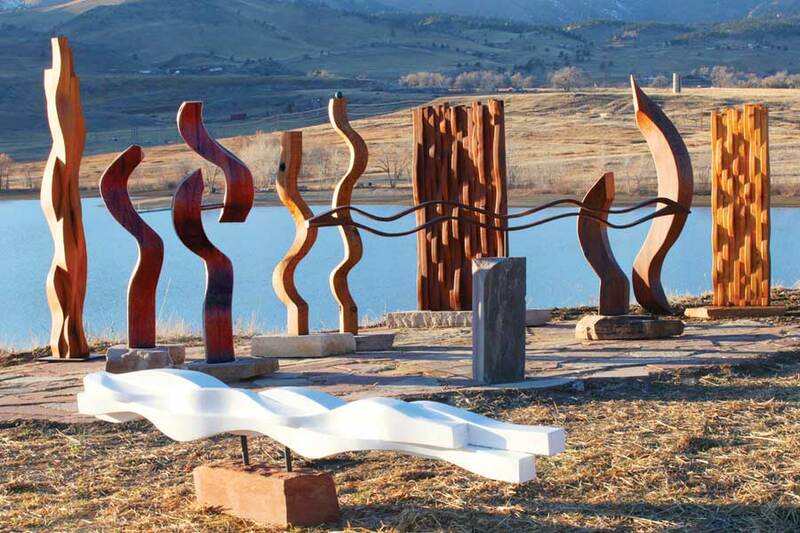 Boulder artist and “artscaper” Marco Viera considers natural lighting when placing art. He uses almost entirely recycled or found materials to create walls, buildings, planters, birdhouses and other objects that cast shadows at different times of the day. 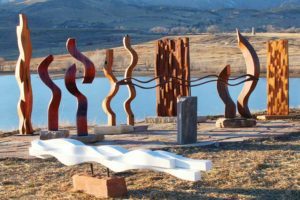 “I like how when you’re in the yard at sunset, (the art) changes. It’s magic, you know?” he says. Sound can also enhance the garden experience. 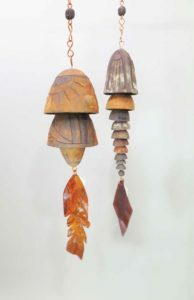 Masonville, Colo., artist Lane Dukart creates bells and chimes with cast, carved stoneware and recycled copper wire. Tones carry on windy winter days as well as breezy summer nights. Sparking good feelings isn’t garden art’s only reward, though. It can also transform yard defects into highlights. “Sometimes there’s that one part of the garden that doesn’t work. 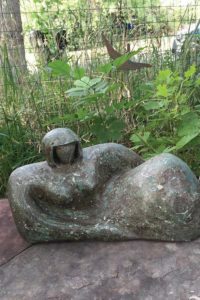 In mine, it’s a shady dry patch where nothing grows, so I plant sculptures there,” says Cha Cha, a Boulder sculptor and “general practitioner of art.” “You can accessorize parts where plants don’t grow. 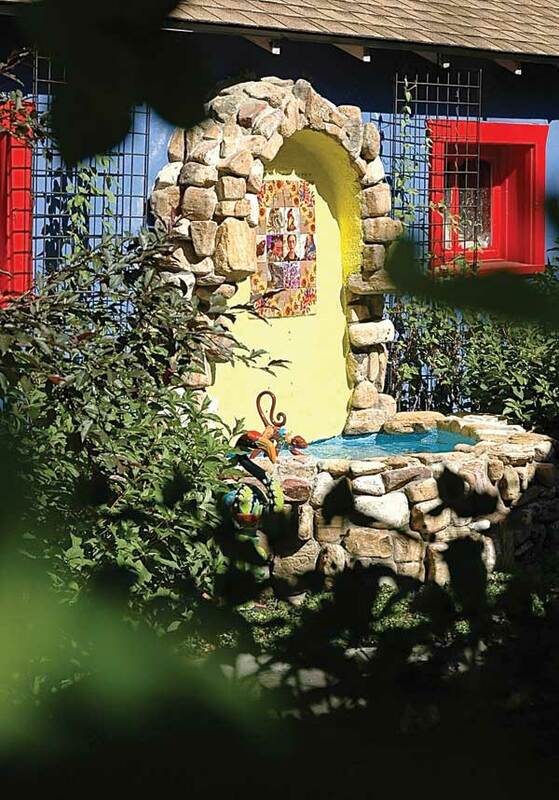 In the art world, we say that if you can’t design it out, make it a feature.” When she formerly lived at an elevation of 7,000 feet, garden-stake flowers were the only “plants” wildlife wouldn’t eat that still gave her color, she says. 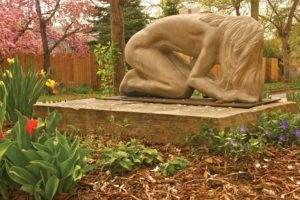 Garden art is highly personal, but there are simple tips for choosing and placing it. Here are a few. 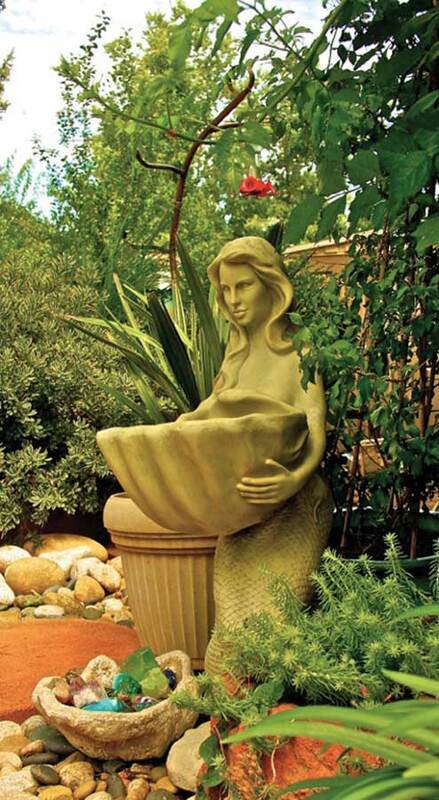 Choose garden art that makes you happy, inspires you, makes you smile or helps you reflect. If it doesn’t do any of those things, it doesn’t belong in your yard. Think about scale. Don’t plop a huge piece in a small garden, or a small piece in a huge space. 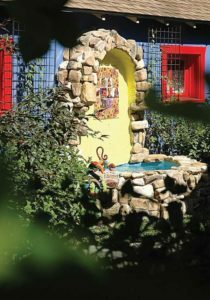 Larger art pieces work best in areas where you want to create a focal point or accentuate a garden’s ­features. Smaller pieces are nice surprises along paths, borders and garden beds. 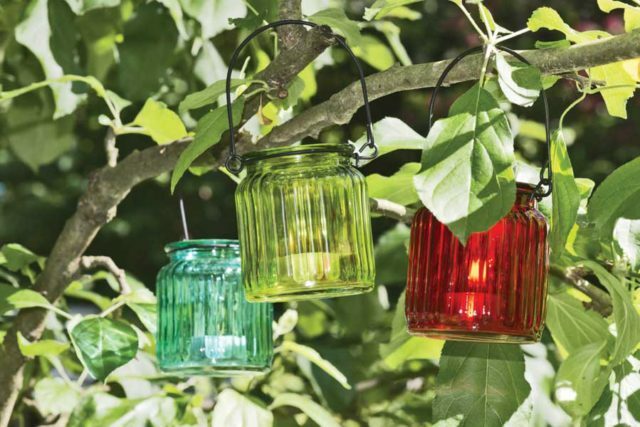 Walk your garden to see where you might want to place garden art. Do you want everyone to see it, prefer to keep it more private or a bit of both? Consider style and design. If you have a contemporary home, your artwork should follow suit. If you have a traditional home, classical art might be best. But if you find something you truly love, don’t fret if it doesn’t precisely match. 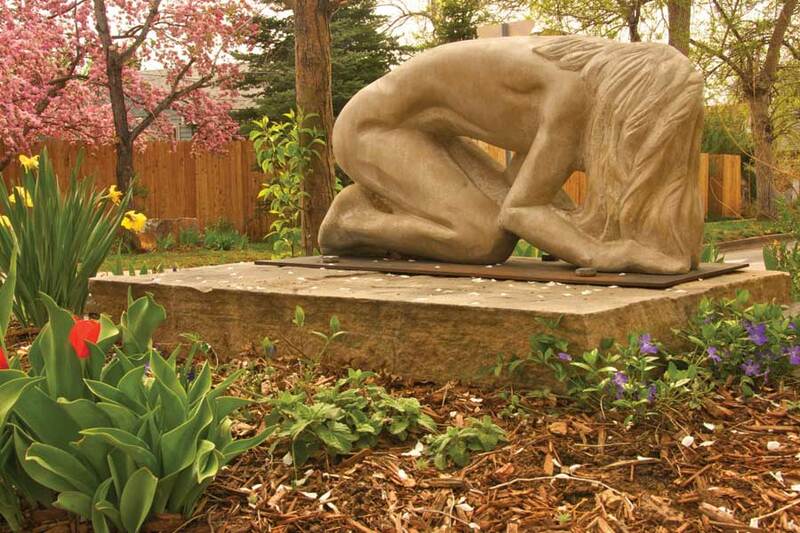 Garden art isn’t just about sculpture. 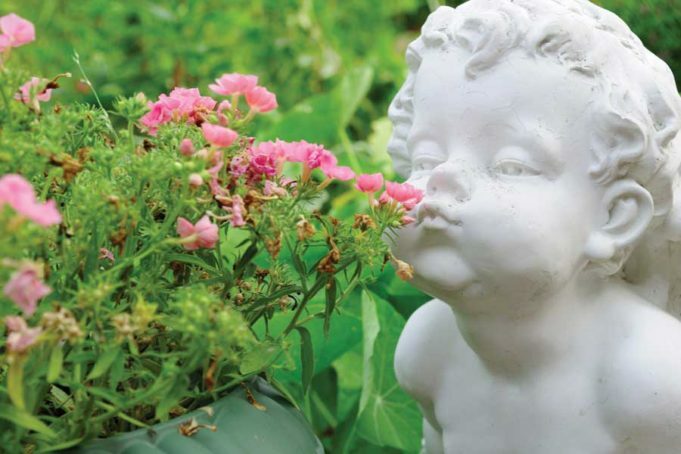 Inexpensive flourishes like flower stakes, gnomes and wind chimes add flair to gardens. Art can cover places that plants can’t. If you have a spot where nothing grows, like beneath a pine tree where acidic needles discourage growth, put art there instead. 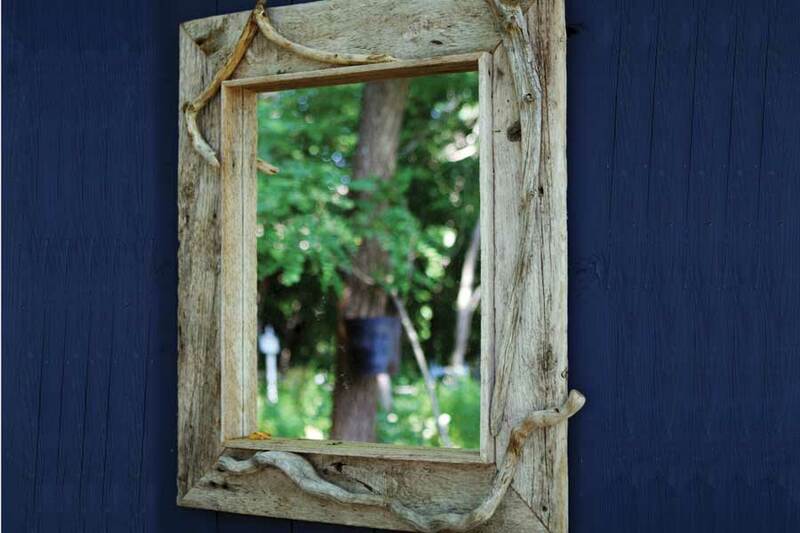 With garden art, less is more. 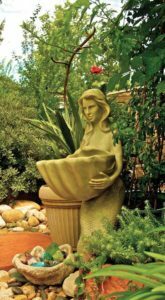 Your plants should take center stage and the art should enhance them. 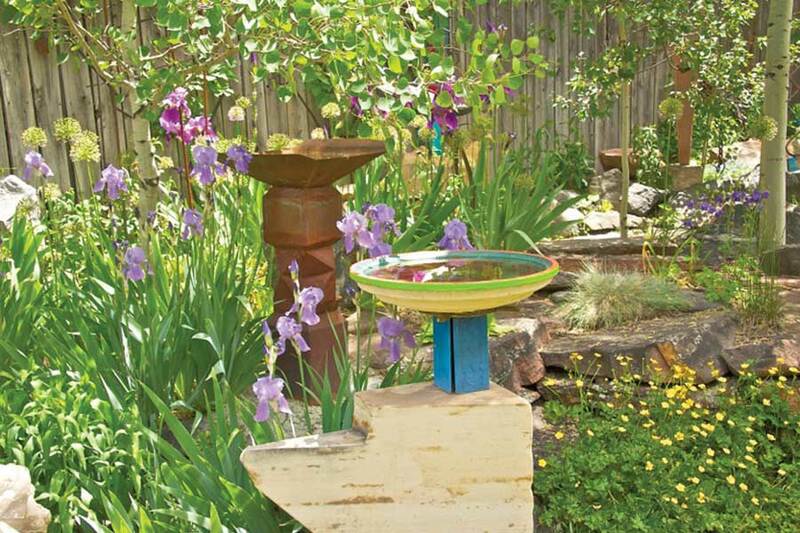 Boulder artist Cha Cha offers these tips for art in the garden. Mirrors abound in my garden. They’re like a portal to another world because they reflect the greenery behind me, sort of like Alice Through the Looking Glass. I have various mirrors that amuse me on my back fence, but most mirrors aren’t made to be outside. Eventually, they’ll age and you’ll need to replace them. 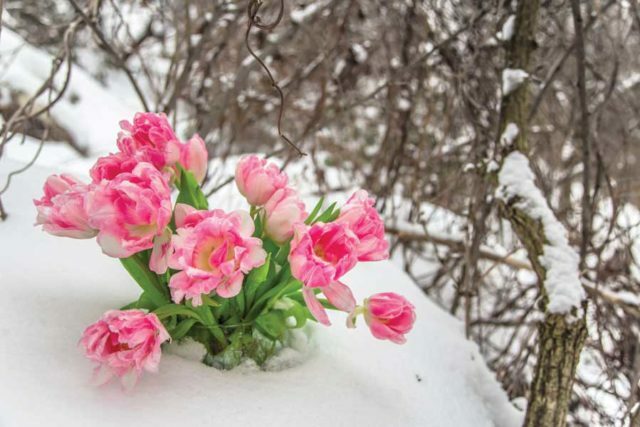 In winter, I sometimes put faux flowers and art pieces in the flowerpots I leave out. It gives the illusion of something growing from the pots and also gives me color when it snows. 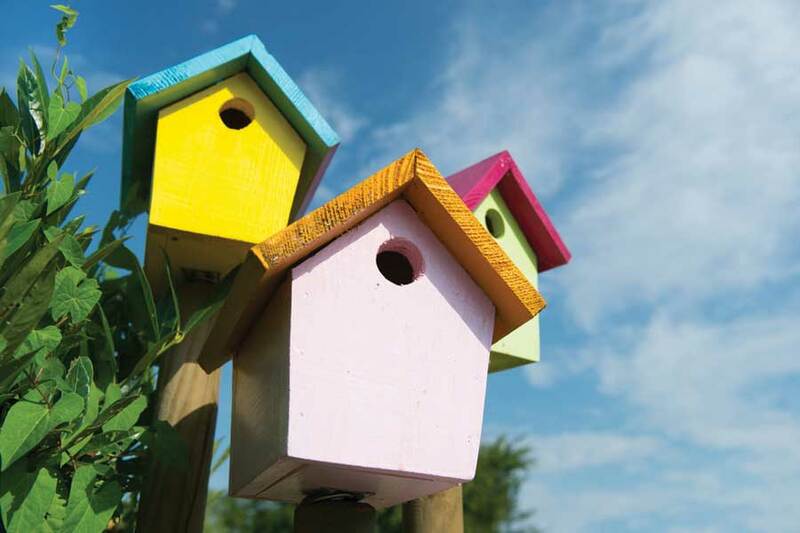 Groupings are always fun in the garden, like placing several birdhouses on a wall or grouping antique garden tools on a fence. I have a collection of suns and moons attached to one side of my garage, and on another wall I grouped antique Colorado license plates side-by-side in a grid on faded shingles. When placing garden art, be aware of your sprinkler system and how it could affect the art. For instance, water would cause metal art to rust. And don’t forget lighting, which can be a great art enhancer. If you have a favorite piece of art, light it so at night so you can still enjoy it when darkness falls. 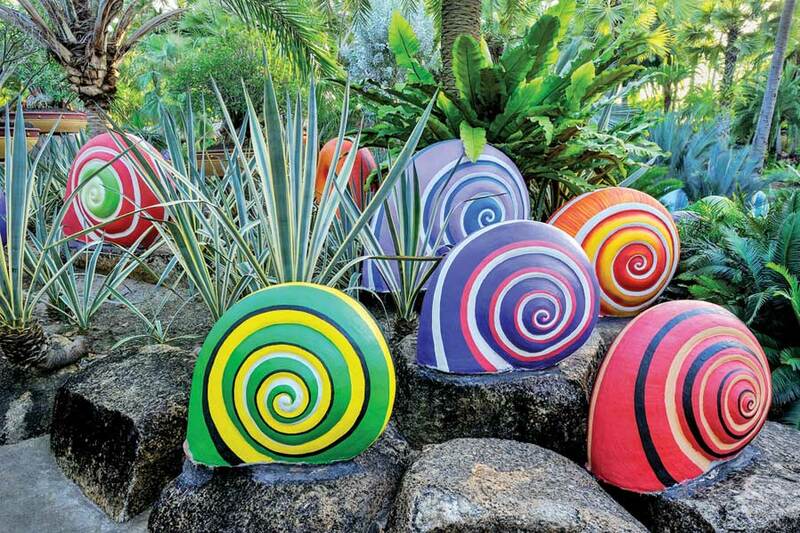 Color is a great theme when it comes to garden art. 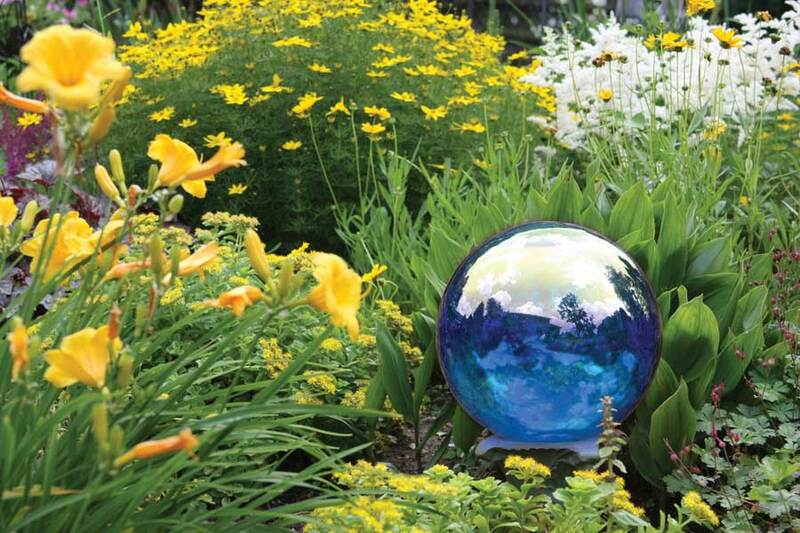 I’ve been collecting blue gazing balls and I place them in groupings around the garden or in spots where they contrast with or enhance the colors of the flowering plants around them.